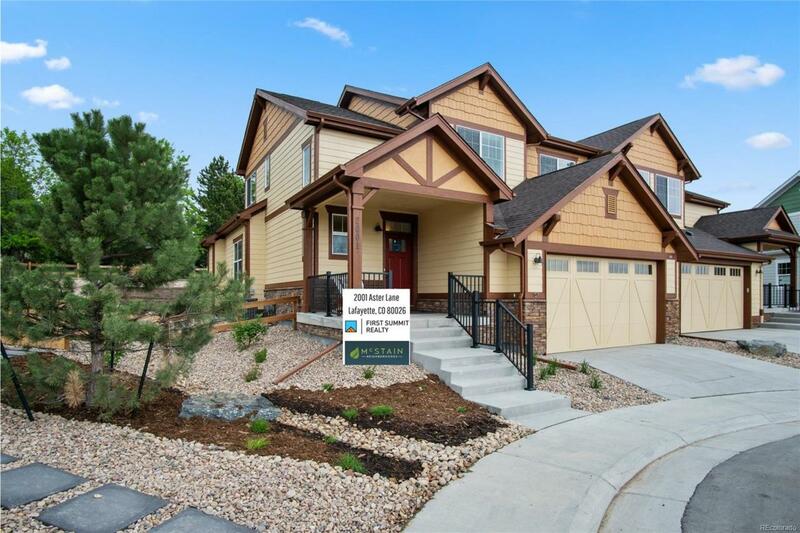 This is your last chance to own a new McStain home in Indian Peaks. Our stunning model home is ready for you to make it your own. Exquisite finishes include wide plank hardwood floors on the main level, gourmet kitchen with quartz counters, white cabinets, sizable pantry, and stainless steel refrigerator. Hard to find main-floor master bedroom and, beautifully upgraded master bath. Upper-level features an additional 3 bedrooms. Even more space in the fully finished basement with rec room, bathroom, and bedroom. Large end lot, with a hard to find fenced backyard. Enjoy the ability to walk or ride your bike to Waneka Lake or Isabelle Farm Stand. Additionally, the home backs to open space, neighborhood trail, and a park.